This straightforward approach to creating your own flipped learning content can help teachers get started and be effective. One of my favorite things about teaching the 4 Week Online Flipped Classroom Workshop that I run several times a year is learning new things from the participants. Participants regularly report learning a great deal from the workshop content and feedback, and it is such a rewarding thing for me to help them learn, but I also get to learn too! A great big THANK YOU! to the hundreds of educators who have taken the workshop over the last few years. 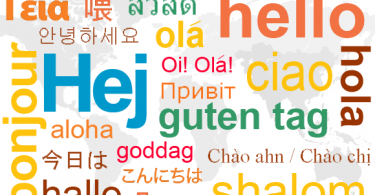 We really do learn so much from each other – it is a very engaging and interactive experience. Shouldn’t every professional development situation provide all participants opportunities to learn from each other? This time around, one of the things I learned about was the “FIZZ technique”. 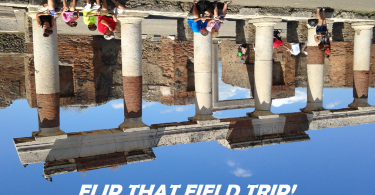 This is an approach to creating and recording flipped learning content videos. Dr. Lodge McCammon is an educator and a musician among other things, and a very interesting guy. He also does work with Katie Gimbar – I share one of Katie’s many great videos about flipped instruction in the workshop course (along with dozens of other outstanding video resources from many top-notch beloved flipped educators). I think that’s how one of the workshop participants happened upon McCammon’s FIZZ technique. 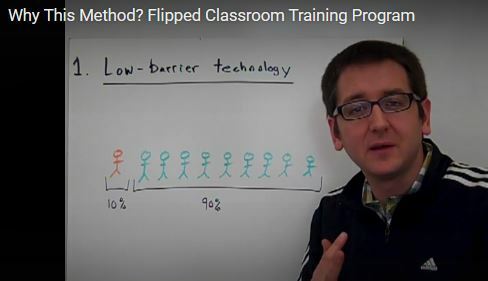 Dr. McCammon coined a term and concept he refers to as the “FIZZ” method for video creation, which he advocates for creating flipped learning content. So we see many reasons why this “low-barrier” method can make a lot of sense and help those new to the flip to get started. Those who are already flipping might want to try it as well! FIZZ – I challenge you to give it a try (and if you do, I hope you will share a link to your finished product in a comment below)! And thanks to Lodge McCammon for the concept and inspiration.